The great Derek Jeter’s playing career ended in 2014, after his twentieth season as a Yankee. The Bronx Bomber teams he was a member of made postseason play seventeen times. Jeter played in seven World Series and New York won five of them. He passed Lou Gehrig as the all-time leader in career hits as a Yankee during the 2009 season and in 2011 became the first player in franchise history to reach 3,000 hits while wearing the pinstripes. I consider the five-for-five game he put together to reach and then surpass that magical plateau one of the greatest all-time individual game performances in Yankee franchise history. He is among the top ten Yankees lifetime in just about every offensive category and in most cases among the top five. He finished his illustrious career in sixth place on MLB’s all-time career hit list. He was an extremely gifted player and team leader who somehow coped perfectly with the stresses of being a star athlete in the Big Apple. There are those who claimed Jeter was over-rated. Those of us who followed the Yankees on a game-by-game and season-by-season basis ignore such ignorance. 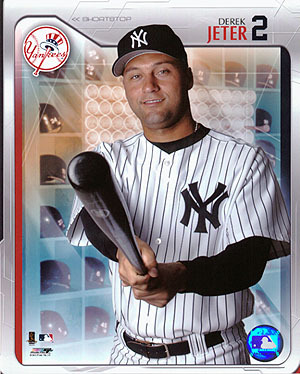 I’m the first to admit that age impacted Jeter’s overall abilities on the baseball field, especially in his final season. But he was still good enough to lead all of baseball in hits during the 2012 season with 216 and if not for the horrendous ankle injury he suffered in that year’s postseason I believe he might have played another season before retiring. 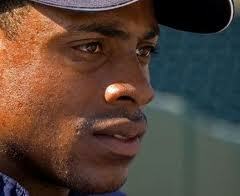 Regardless, this guy is the greatest Yankee shortstop ever and one of the top two or three to ever play the game. 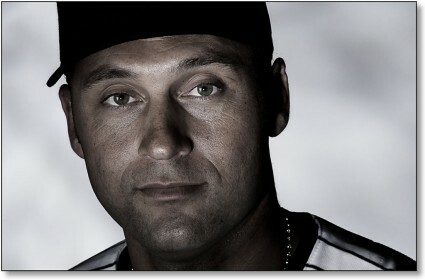 Its hard to describe the positive impact this man has had on the game of baseball for the past two decades. He was my favorite player, my children’s favorite player and my grandchildren’s favorite player. Though his numbers were down significantly during the 2014 season, this remarkable Yankee ended his career on a high note by hitting close to .370 during the last ten games of his career and reminding everyone again why he was nicknamed Captain Clutch, with his poignant game-winning hit in his last ever Yankee Stadium at bat. No one will ever again wear his number “2” jersey and in 2019, he will be honored with an induction ceremony in Cooperstown. Watching him earn that ceremony has been one of the great pleasures I’ve experienced as a fifty-four-year fan of the Bombers. Thank You 2! The predictions that Jeter was destined to become a great Yankee that were made at the beginning of his career turned out to be correct. Similar predictions made for this former Yankee outfielder who shares “The Captain’s” June 26th birthday would turn out to be far less accurate. This one-time Yankee LOOGY was also born on this date. Provided by Baseball-Reference.com: View Original Table Generated 9/30/2014. 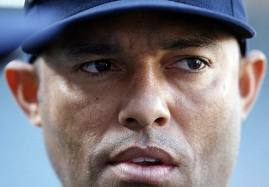 Number 1 – The incredible “Comeback of the Year” performance by the incomparable Mariano Rivera and his emotional farewell appearance in Yankee Stadium. The Sandman returned from a torn ACL suffered in May of 2012 to save 44 games for New York in 2013 and bring his final career regular-season record saves total to an amazing 652. 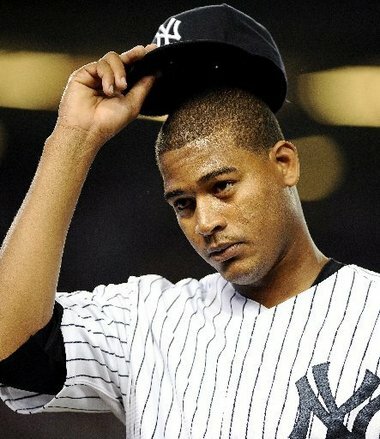 Ironically, Mo’s final appearance of his career was in a non-save situation, which took place against the Rays on September 26th during the Yankees final home game of the 2013 season. With New York trailing by four runs in the eighth inning, Joe Girardi brought in the greatest Closer ever, in the eighth inning and then sent fellow Core Four members Derek Jeter and Andy Pettitte out to the mound an inning later, to remove Mo from his last-ever game. It was a poignant moment, as Rivera sobbed uncontrollably in Pettitte’s arms. 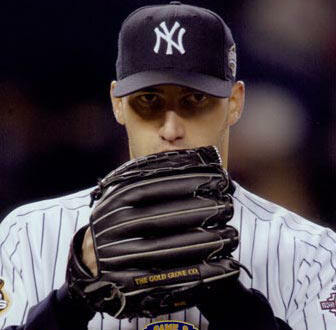 Number 2 – The final start of Andy Pettitte’s 18-year career. It took place in Houston on September 28th and the veteran southpaw gave up just one run and five hits in a complete game victory over the Astros. it was Pettitte’s 256th career victory and his 219th Yankee win which puts him in third place on the franchise’s all-time wins list behind Whitey Ford and Red Ruffing. Number 3 – Robbie Cano’s last year in pinstripes. 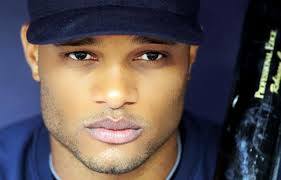 As soon as the reports that the new agents of baseball’s very best second baseman were asking the Yankees for $300 million to re-sign their client, I realized Cano’s chances of remaining in New York for the remainder of his career were diminishing with each passing game. In a year when good hitting was mostly absent from the Yankee lineup, Cano belted 27 home runs, drove in107 and averaged .314. I doubt the Yankees will ever have another second baseman with as good an all-around game as Cano’s and I will miss seeing him play for my favorite team. Number 4 – Jeter’s “welcome back” home run. On July 28th, I’m sure I was holding my breath as Derek Jeter made his way to the Yankee Stadium batters box to face Tampa Bay southpaw, Matt Moore. The Yankee Captain’s season debut had taken place seventeen days earlier and then abruptly ended right after that game against the Royals, when a sore calf landed him back on the DL. At the time of his second return, his team was struggling to remain competitive in the AL East race and desperately needed Jeter in the lineup to do so. When he hammered Moore’s first pitch into right-center field stands, for just that brief moment, Yankee Universe’s postseason hopes went sky-high. 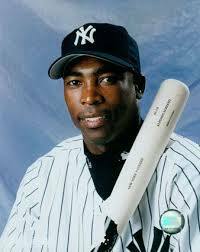 Number 5 – Alfonso Soriano’s return to the Yankees. In 58 games, he smashed 17 home runs and drove in 50. The guy the Yanks traded to get A-Rod a decade earlier was now back in the Bronx doing for the Yankees what the Yankees were paying A-Rod to do. It was a magnificent stretch for Soriano and I hope it continues into 2014. There have only been four players in the history of Major League Baseball to have been born in Spain. One of them is today’s Pinstripe Birthday celebrant. Rios came into this world in Madrid on this date in 1972. He and his parents moved to the US two years later. He played baseball for the University of Miami and was signed by the Yankees in 1993. He was groomed from the beginning as a closer by the Yankee organization and had some really strong seasons in that role for New York’s Greensboro, Tampa and Norwich farm teams. By 1997 he was pitching in Columbus and got his call up to the parent club in May of that season. Unfortunately for Rios, he got shelled by the Red Sox in his first Major League appearance, giving up three home runs and five earned runs during his one and two-thirds inning pitched. That debut performance got him sent back to Columbus and he didn’t throw another pitch in a big league game until September of that season. This time, in his first and only game in the original Yankee Stadium, Rios got shelled again, giving up five hits in two-thirds of an inning against the Orioles. Having seen enough, the Yankees released him after the 1997 season. He signed with the Royals the following year, appeared in five games for Kansas City in 1998 and then left the big leagues for good. He landed on his feet in the Korean Baseball Organization, becoming the first non-Korean ever to win 20 games in that league in 2007. That performance earned him a huge contract to pitch in Japan the following year. According to his “Bullpen” profile section at Baseball-Reference.com, Rios tested positive for steroids while pitching in Japan and was suspended. Another nondescript Yankee pitcher named Ownie Carroll was also born on this date. Since no current or former Yankees are born on today’s date, I thought it would be an appropriate time to review the Pinstripe Birthday Blog’s five favorite moments of the Yankees 2011 season. Number 2 – Mariano Rivera getting his 602nd save – Yankee fans have been especially blessed over the past decade and a half because in addition to Jeter, we’ve watched the very best closer in the history of baseball get the last crucial outs in hundreds of Yankee games. On September 19th of this past season, Mo was called in to pitch the ninth inning of an afternoon game against the Twins at the Stadium. He was given a two-run lead and proceeded to pitch a perfect final inning with the record-setting third out coming on a called third strike on Twin first baseman Chris Parmelee. The save was the 602nd of Rivera’s unbelievable career, sending him past Trevor Hoffman to the top spot on the All-Time career Saves list. 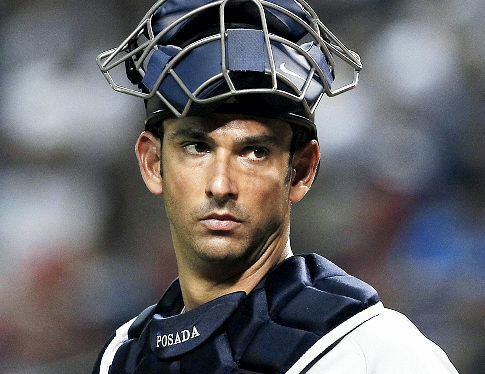 Number 3 – Jorge Posada playing in his last Yankee game – This one was bittersweet because you know it breaks Posada’s heart to realize he will almost certainly never take another at-bat in Yankee pinstripes. I was afraid his farewell tour was headed for a disastrous ending when he refused to play in the Boston game after Girardi demoted him in the lineup. But cooler heads prevailed and Jorge sucked it up and reminded everyone why he has become one of the most beloved Yankees of his era. If his solid hitting performance during the Yankees 2011 ALDS versus Texas turns out to have been his Yankee swan song, all I can say is; Hip Hip Jorge! You have been a great Yankee! Number 4 – The emergence of Ivan Nova – I have to admit that as the 2011 spring training season opened, I did not think this kid was quite ready for prime time but he certainly proved me wrong. He was pretty much phenomenal the whole year and really showed the mettle of a professional when after he was unfairly demoted early in the season, he just kept pitching. Number 5 (tie) – The emergence of David Robertson – After being spoiled for a decade and a half watching the most dominating closer in baseball do his stuff game after game, I found myself wondering if it was actually possible that his successor was already wearing Yankee pinstripes. 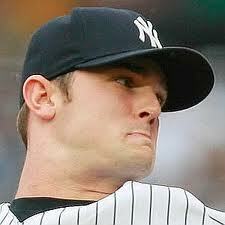 That’s how good David Robertson looked on the mound in 2011. Number 5 (tie) – Curtis Granderson’s outstanding season – I have watched and followed Yankee baseball pretty closely for a very long time and I do not remember a player who conquered a weakness in his game as dominantly as Granderson has overcome his inability to hit left-handers. In my opinion, he was the Yankee MVP of 2011 as he helped fill the power deficit caused by A-Rod’s frequent absences from the lineup, especially against southpaw pitching. most to Yankee baseball over the past five years. team. I’m predicting he will be back better than ever in 2011.
baseball’s best second baseman for at least the next five years. pharmaceuticals unhappening right before our eyes. readers know by posting your answer in the “comments” section below.